The Amber board can be connected to a PC through the USB serial port. To interact with the board we can use two open-source serial communication softwares. 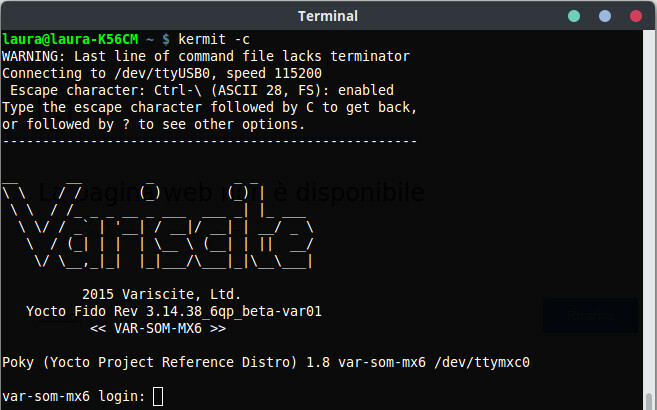 C-Kermit is a portable Scriptable Network and Serial Communication Software for Unix. Connect the Amber to the PC through a USB-miniUSB cable and power on the board. and locate the name of the serial device. 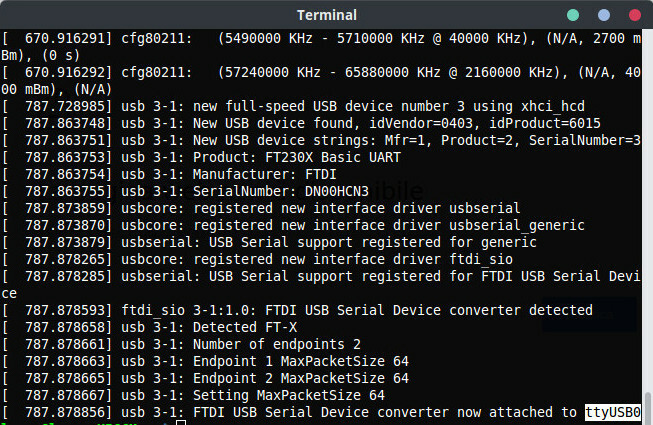 replacing /dev/ttyXXX with the name of your serial device. 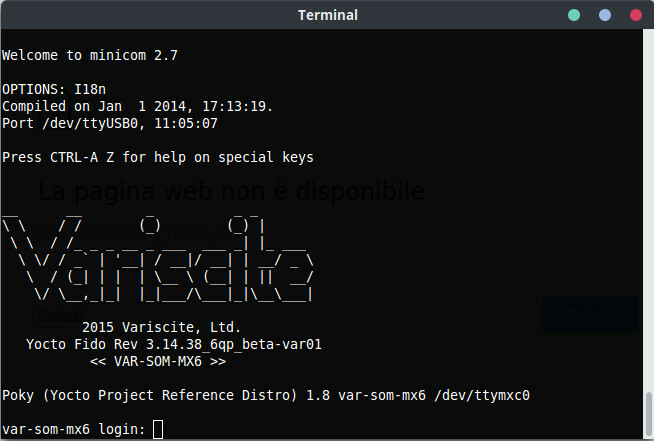 Minicom is a menu-driven serial communication program and can be used in alternative to C-Kermit. In our tests we have verified that C-Kermit is actually better when it comes to image transfering over serial port. But for interacting with the board Minicom works just fine. Connect the Amber to the PC through the USB-miniUSB cable and power on the board. Disable flow control, to allow the access to the bootloader interface by pressing a key before the kernel is loaded.From the Minicom window press CTRL+A and then Z to access the help menu.Press O to configure Minicom.Select “Serial port setup” and disable “Hardware Flow Control”.Press ESC to go back to the main window.